Balances skin’s functions: oiliness as well as dryness conditions are normalized. Synchro has unrivaled anti-inflammatory, antibacterial, regenerating and healing capabilities. Biological compounds rich in glutamine, arginine, lysine and potassium and magnesium. Vitamins A, C, E, H and B complex. Calendula and sweet almond oils rich in essential fatty acids. Hypericum oil. White beeswax. Regenerates the basal cells of the epidermis. Regulate skin’s functions and restore its natural defence system. Essential nutrients to the cell, enhancing skin’s functions. Alleviate a number of skin problems. Anti-inflammatory, antiseptic, antibacterial & anti-fungal. Synchro is suitable for all skin types and all ages. Synchro is part of every skin’s program. It can be used alone or in conjunction with any other cream. Synchro was originally developed for skin burns. It has unrivalled regenerating and healing capabilities. Synchro regulates skin functions and restores its natural defence system. It is beneficial for all skin types, from oily to very dry and sensitive. It can be used around the eyes, the face and the body. Synchro is the most important cream from the whole Gernétic range as it provides all the essential nutrients to assist skin cells to be nourished and regenerated. 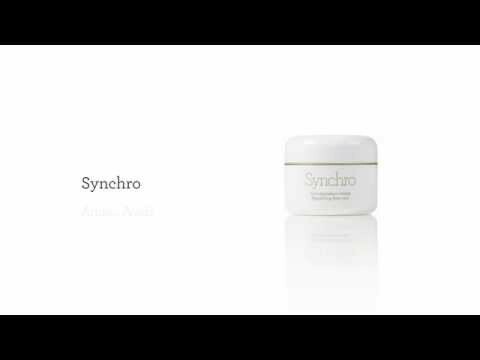 In the morning, Synchro can be used by itself or after your specific cream. 2 out of 2 (100.00%) reviewers recommend Synchro to their friends. After radiation treatment for breast cancer, Synchro healed my skin quickly and effectively. Synchro is the most expensive day cream I have ever bought but I have to say it's worth its weight in gold. My skin has never felt healthier! [post_content] => Balances skin’s functions: oiliness as well as dryness conditions are normalized.